Listers Health launch a new initiative to reach out to you guys! With this 3 month gym voucher, you can encourage your other half to set out her own path toward a new fitness journey! Let’s face it, exercise may be one of the best things you can encourage your wife/loved one to do! You can help your other half grow stronger physically, mentally, emotionally and socially! Are they are feeling down, fed-up, angry or stressed? You have the ability to help them confront their unhappiness courageously and make things much better for her. Exercise is critical for emotional first aid and mental health. Encouraging them might help them clear their mind, and help them relax. It could be the most beneficial thing you can do that could make a difference. Do you workout at a gym yourself? If you’re working on your own health and fitness, why not inspire your other half to do the same! Help them see the great benefits in exercising and begin to look and feel great together! There are so many great benefits for your other half to start their Fitness Resolution. With the help of our team, we’ll set the best intentions to build healthy habits, and give her the energy to fuel her goals. She will be joining 1000 like-minded women, who inspire and connect with each other, in the most well equipped women’s only studio gym in Bradford! THE BEST GIFT YOU CAN GIVE IS THIS 3 MONTH FITNESS VOUCHER! Over 100 classes per month, all included. Luxury Sauna and Steam Room, in our changing rooms. 10% OFF Beauty Treatments when they are a member! They can also download our FREE Guide full of food & exercise tips to get them started! And not forgetting, you will officially be in a 100% LADIES ONLY environment, ran by ladies, which we know they will value in a gym! We are the BIGGEST women’s studio gym in Bradford, with over 100 classes a month, steam, sauna, free weights & resistance machines. We are also Finalist for the National Fitness Awards 2017! We have EVERYTHING your other half will ever need in a gym built exclusively for women, by women. Did we mention that we recently taken another GIANT LEAP by doubling our cardio, resistance machines and gym equipment? Don’t believe us? 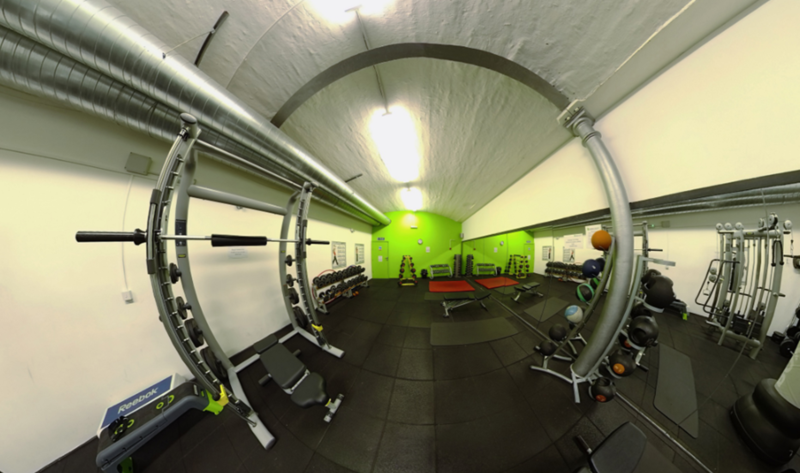 Check out our NEW Virtual Tour of Listers Health! They won’t EVER have to go anywhere else. Still not convinced? Watch our video!